There are two options for indicating that your team is prepared for this event. You can use either option – whichever is easier for you. This is the second of two official campaigns scheduled for the first week of December 2015. 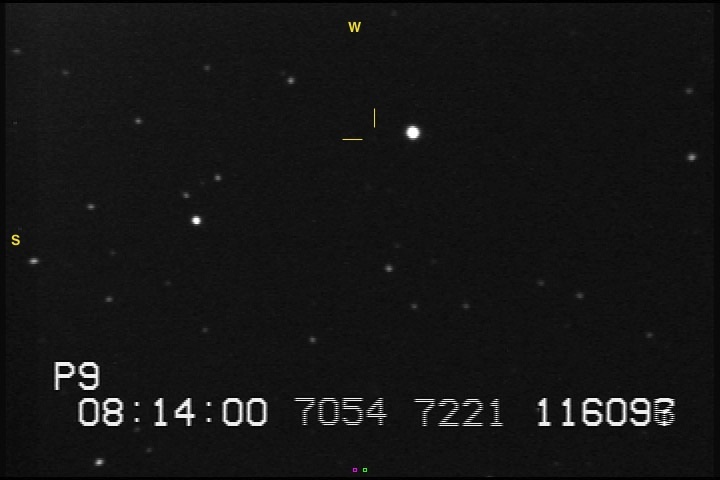 This star for this event is VERY faint; if you are lucky, you will just be able to see it in the camera image. Because of this, having a very sharp focus will be essential for getting good data, so please remember to use your Bahtinov Mask to focus prior to the event. 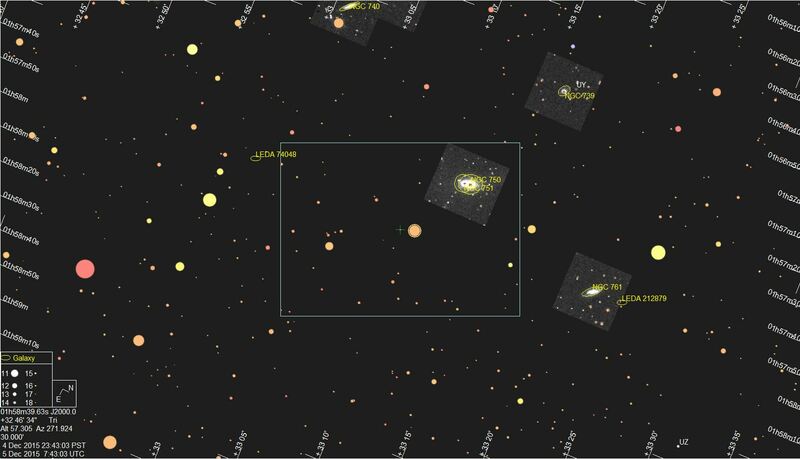 In addition, an advanced technique for focusing involves looking for really faint stars in the field that just become visible when in sharp focus but are not visible when out of focus. We recommend checking out a recently added guide titled Focusing Tips. We have also received an updated prediction map based on additional astrometry. 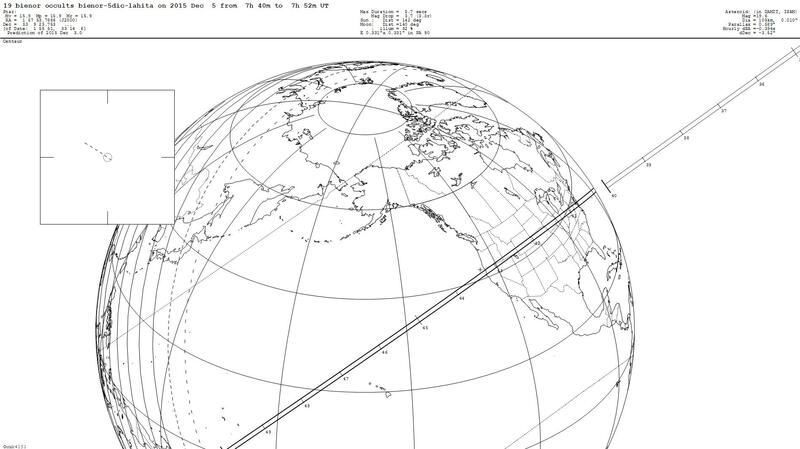 This update as of December 3 placed the shadow path over Northern California/Southern Oregon. 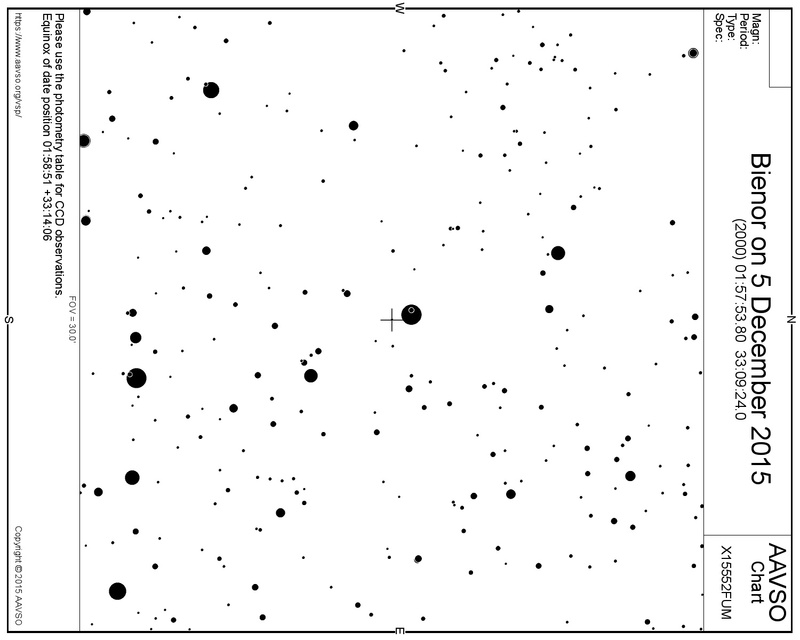 Note that the target star is VERY faint; if you are lucky, you will just be able to see it in the camera image. Do your best to focus the camera as sharply as possible (see guide with Focusing Tips). Use the RECON Data Transfer Tool to upload your files to SwRI in Boulder and complete the Post-Event Observation Report.